RSL Poll: Joe Buck and Tim McCarver - Love 'em or loathe 'em? 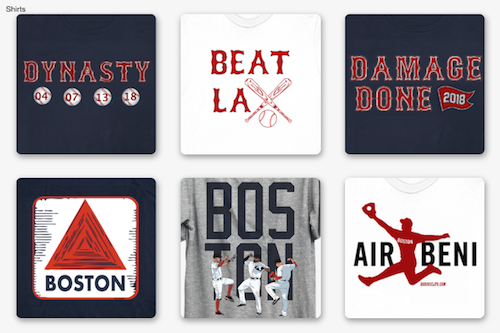 As the Boston Red Sox prepare for the Detroit Tigers in Game 4 up 2-1 in the American League Championship Series, let's pause for moment to catch our breath. 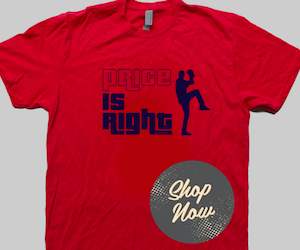 It's been a dramatic series with near no-hitters, clutch hits, nail biting bullpen battles and thrilling walk-offs. But, for a moment, let's turn our attention away from the field and towards another part of the game that can infuriate fans - Joe Buck and Tim McCarver. The two have often been criticized for being "haters" of everyone's favorite team. Ask any Yankee fan. However, it's the quality of the product that we are critiquing here. Do we really need a half hour interview with Max Scherzer during the game? If Fox features one more second on how long a pitcher holds a ball with a man on base the American suicide rate is going to spike. During Game 3, the braintrust of Buck and McCarver had Justin Verlander compared to Tom Seaver, Bob Gibson, Christy Mathewson, Steve Jobs and Gandi. Meanwhile, John Lackey was matching Verlander pitch for pitch and all we got was the obligatory chicken and beer reference. The verbage malpractice has fans calling the offices of Joe Bornstein. The fair and balanced FOX "dynamic duo" of baseball broadcasts is certainly taking a beating on Twitter. Joe Buck just made a Dumb and Dumber reference. How fitting. “phil coke has been dealing…” and i didn’t listen to another word joe buck said. it would have ruined it. Even Detroit fans are annoyed and they shut the lights off in their city at four in the afternoon. "Benoit has never given up a homer to Ortiz" next pitch Homerun. Thank you Joe Buck. The ultimate Detroit Tigers hater. 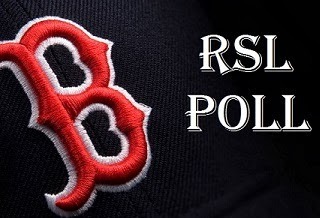 Perhaps we Red Sox Lifer's are just too spoiled by the likes of Don Orsillo, Jerry Remy and Eck. Even MENSA member Jenny Dell has more to offer than sideline bim-porter Erin Andrews. FOX should post a warning to viewers during its broadcast: Listening to Erin Andrews can actual lower your intelligence a few levels. Sorry fans of mispronunciations, inane questions and fine fanny perpendiculars, but it is true. Listening to Einstein Andrews can make you dumber. It's science. @ErinAndrews did you almost say Justin Bieber instead of Justin Verlander in post game interview? 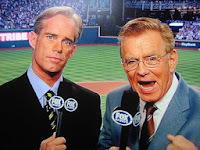 Joe Buck and Tim McCarver: Love 'em or loathe 'em?